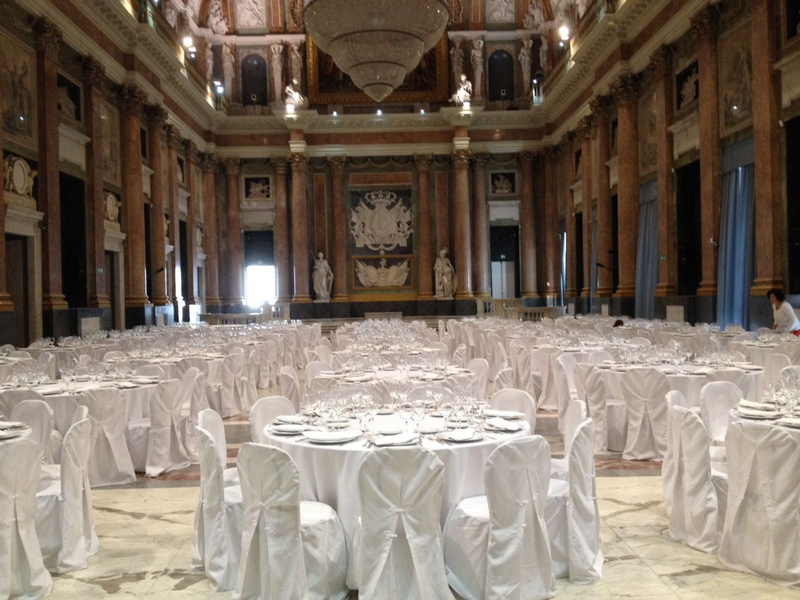 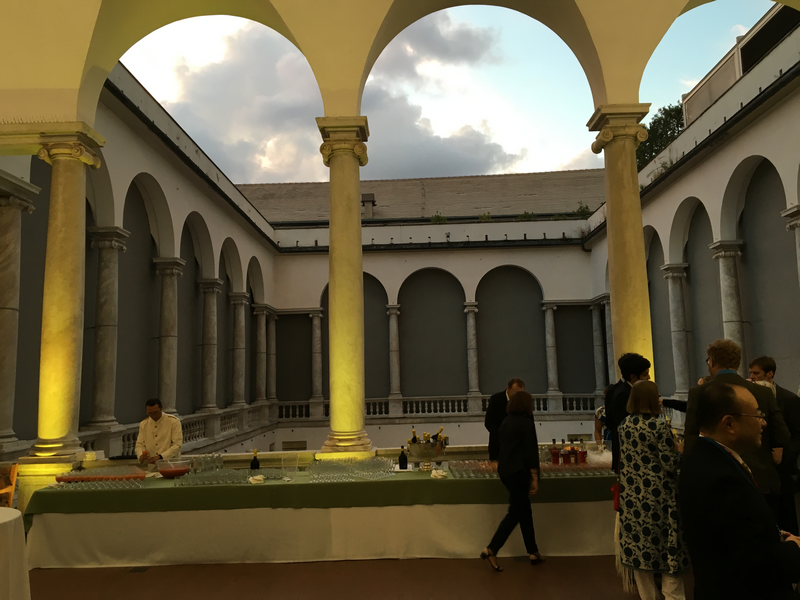 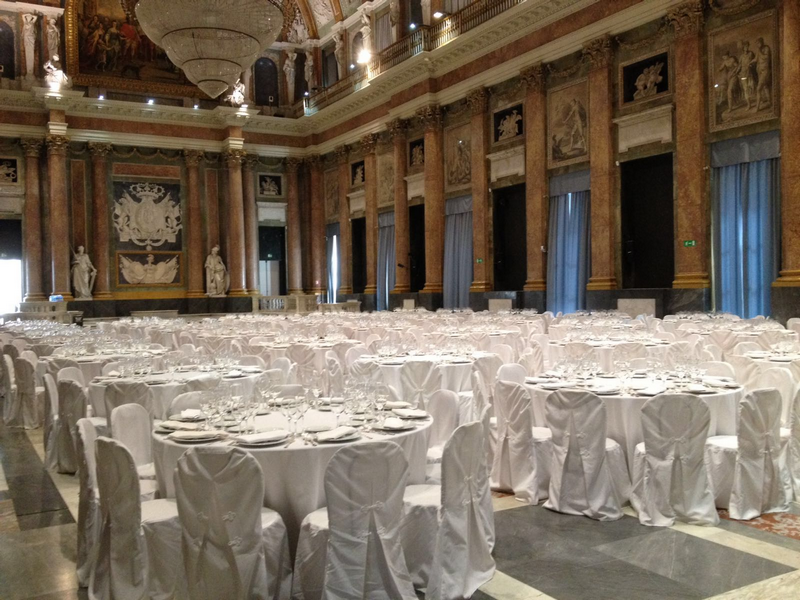 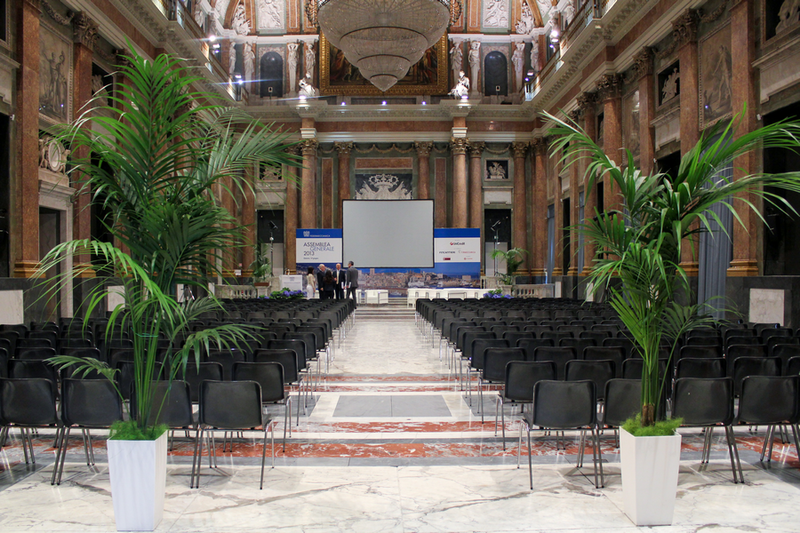 Located in the centre of Genoa, Palazzo Ducale, formerly the seat of the government of the Republic of Genoa and residence of the Doges, today constitutes a multipurpose centre of over 34,000 square meters, with exhibition, congress and trade spaces. 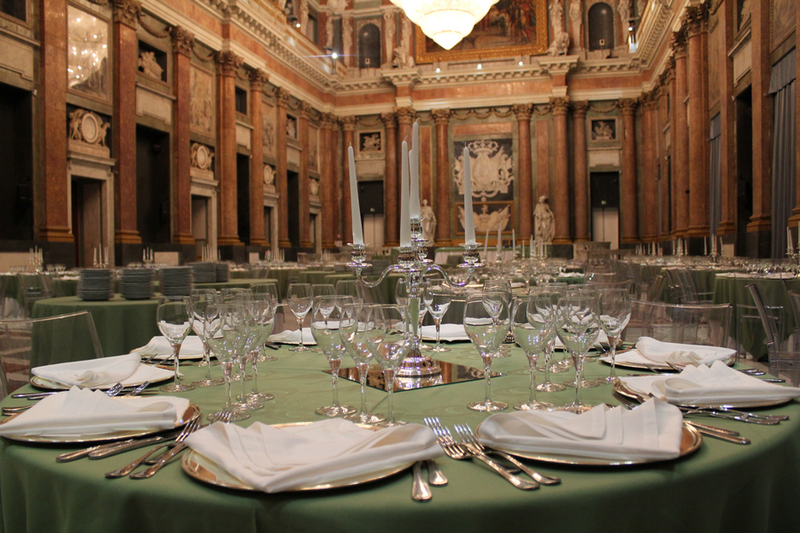 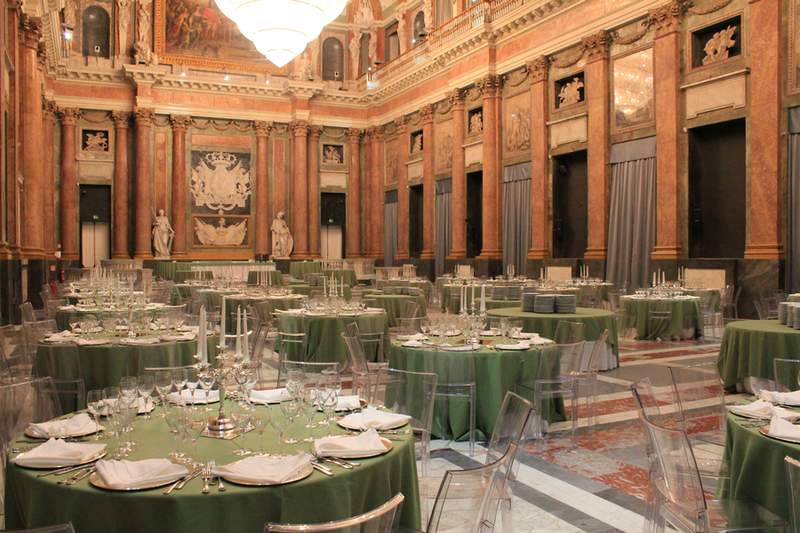 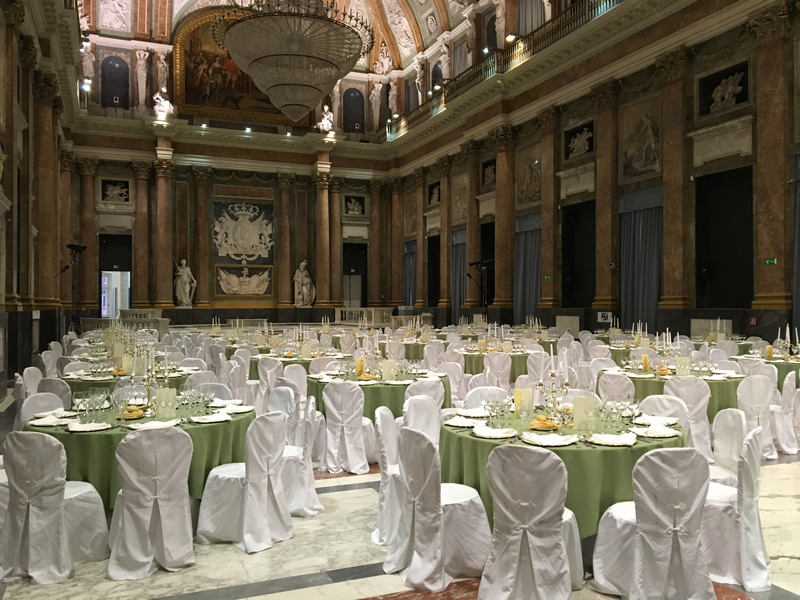 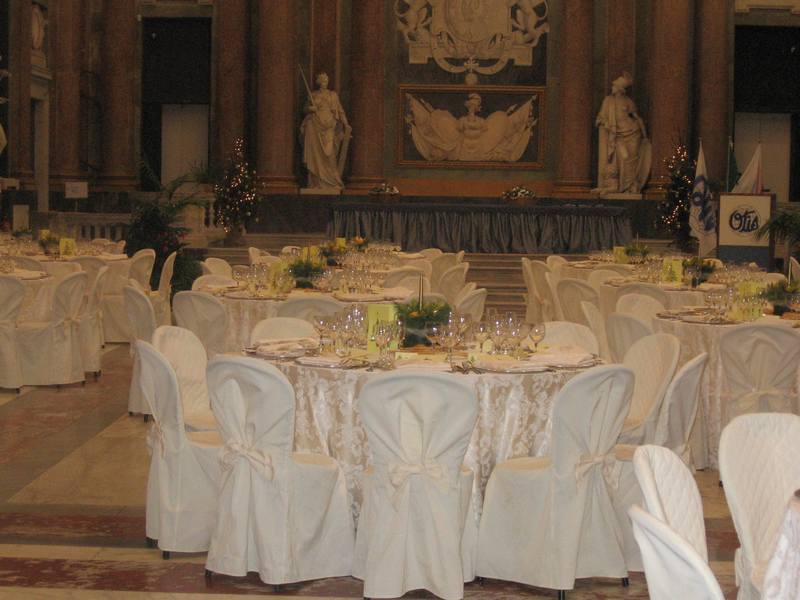 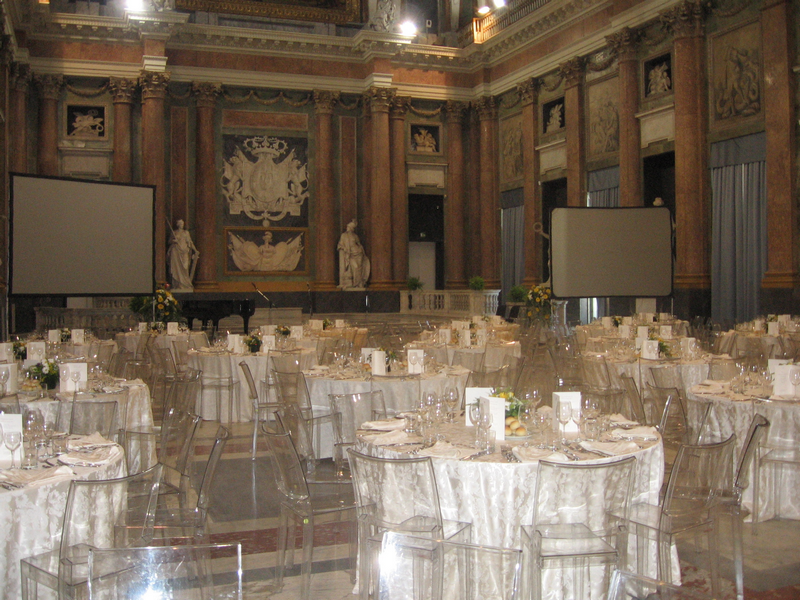 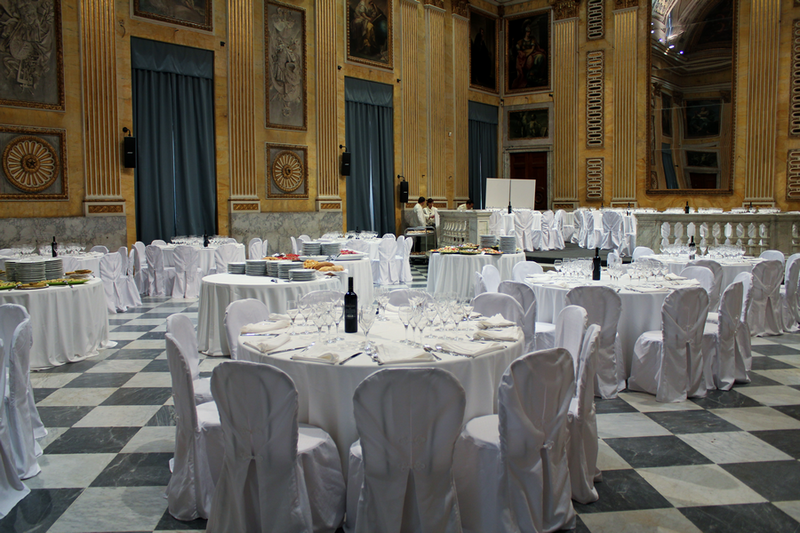 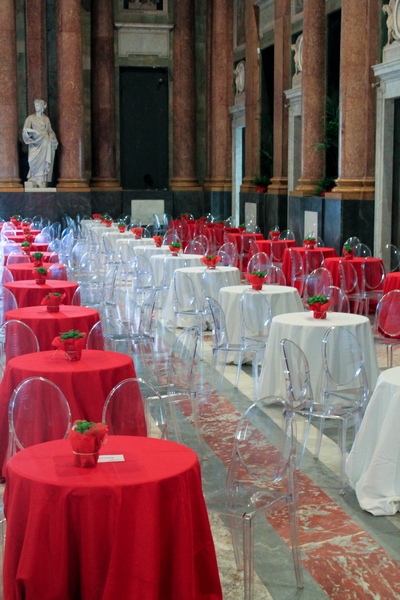 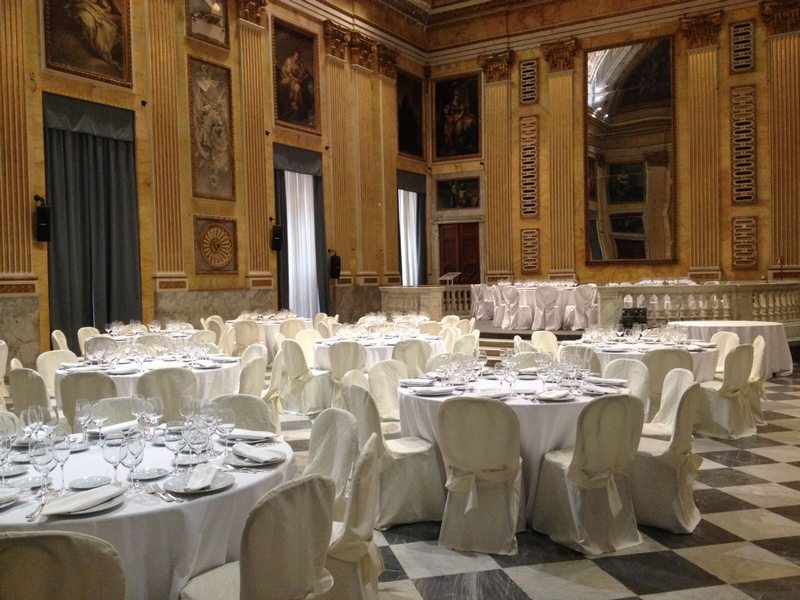 In the sumptuous reception rooms of the noble floor and in the suggestive areas of the Munizioniere and Cisterne, conferences, important art exhibitions, shows, concerts and gala dinners are held. 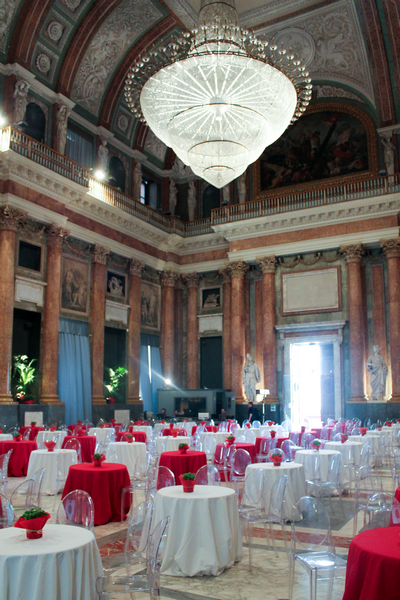 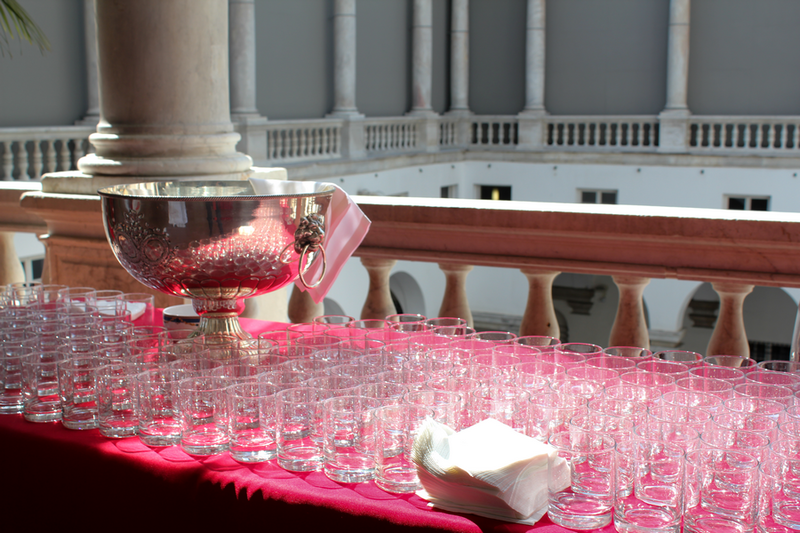 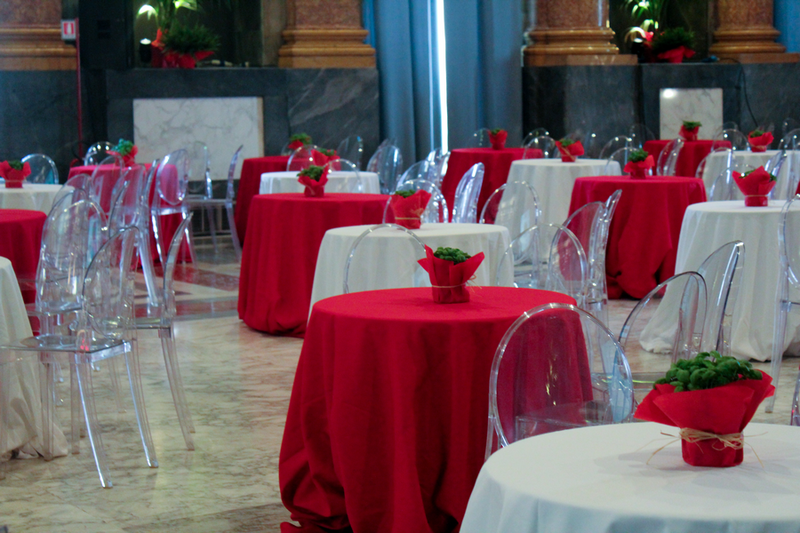 The Hall of the Major Council with its 678 square meters can host cocktails for up to 700 persons and seating dinners of 500 people. 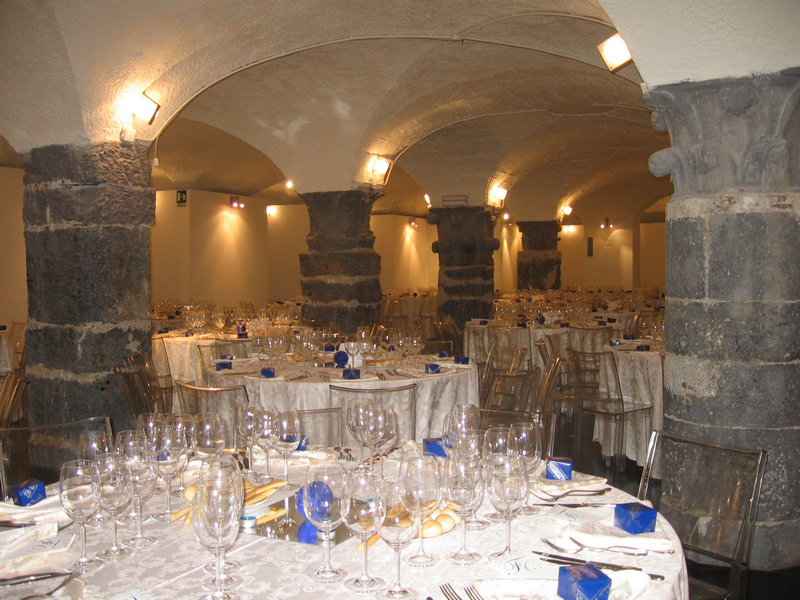 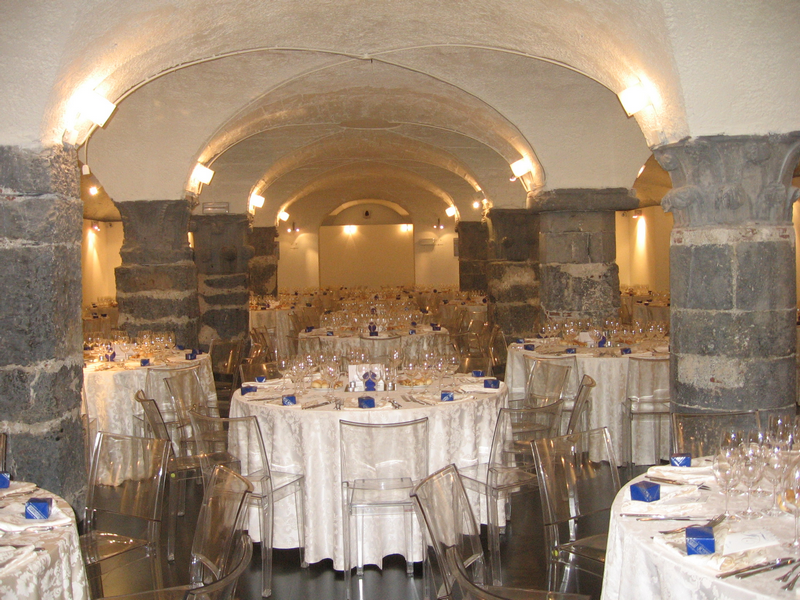 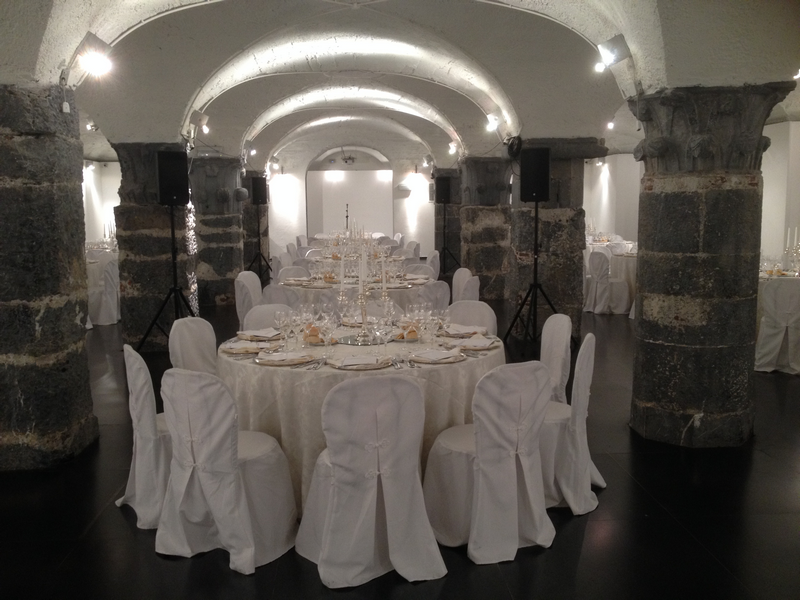 The adjacent Room of the Lesser Council can host cocktails for up to 250 people and dinner meetings up to a maximum of 150. 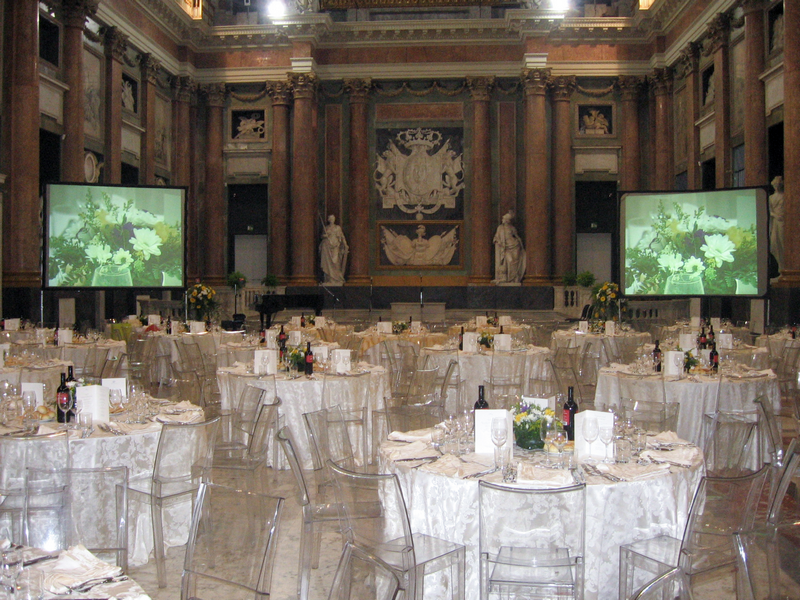 The charm of the historic environment combines with the use of modern multimedia technologies with highly professional results.